Today’s teaching is about living out your passions. It’s about finding your happiness in the midst of your daily routines. Pastor Rick Warren’s teaching is so relevant to the seeker as well as the believer. All of us have a purpose for which we were created. Our passions are dwelling inside us and until we acknowledge that, we will continue seeking a life that has no meaning. Our passions are what make us. It’s the depths of our lives. If you want to find true happiness you’ll want to start with what you’re passionate about. What makes you tick? Who are you? What gets you out of bed in the morning? Do you have those Monday morning blues? Perhaps you haven’t found your passion. Perhaps you feel stuck. Relive the days of your youth. Go back to a time in your life when you were excited about something. Reflect on a season in your life when you were happy. Remember the good times? Do you hear the laughter of those yesterdays? Where were you? What were you doing? Who were you with? Deep down inside all of us we ache for that. Our hearts yearn to be accepted. Our minds drift off to memories of good and bad times. But for whatever reason we get stuck in the bad times. Those ugly memories that hurt us or made us feel insignificant. We all want to be loved. We want to be happy, don’t we? Well what is stopping you from finding what you’re passionate about? Find what you’re passionate about and make it a goal in your life to live out your passion. 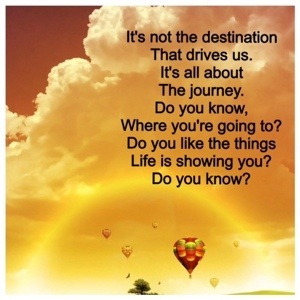 Do you know what your gifts are? Everyone has them. The happiest are those who are living out their passions using their God-given gifts to make a difference. You have a purpose. If you haven’t discovered it yet, don’t stop seeking. Find a place where you can thrive. Relive the days of your youth if you have to, but by all means, discover your passion and outlive your life.